Gloucester and District CAB was established in September 1939, the day after war was declared, to be at the service of any citizen in difficulty and 75 years later we are still true to that founding principle of providing confidential, free, independent and impartial advice. At that time the bureau operated from The Guildhall providing advice on those issues of the time. Naturally, the service offered has expanded in the 75 years since then, but the bureau is still offering advice on debt, housing, benefit enquiries, consumer, and employment issue as well as any other matter that ‘comes along’. Now operating from various locations in the County the bureau now provides advice services to the residents of Gloucester, Tewkesbury and Cheltenham in person, by phone or by email. To provide advice people need for the problems they face. To improve the policies and procedures that affect people’s lives. We aim to not only provide information, advice and assistance to those who directly need it but to also use our clients experiences to provide evidence to the government about recurring problems and to prevent these from continuing to arise. Independent – we will always act in the best interest of our clients, without being influenced by outside bodies. Impartial – we do not judge or make assumptions about anyone who uses our service. We are open to all and treat everyone equally. Confidential – we will not pass on any information a client gives us, nor will we tell anyone that they have visited us, without their express permission. Free – we believe that everyone should have access to the information that they need and we will never charge anyone for the use of our service. These principles guide how we provide our service. All of our advisers go through an extensive and comprehensive training programme before working with our clients. In addition, and due to the complexities people often face, today many of our advisers go on to undertake further training in order to specialise in key areas (eg. Debt, Housing, Employment and Benefits). This expertise together with the support we are able to call upon nationally allows us to ensure that no problem is too complex for us to help clients resolve. 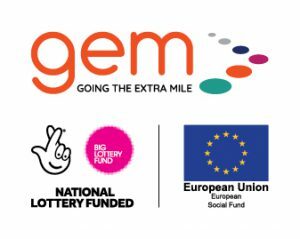 The Going the Extra Mile (GEM) Project aims to engage with and support individuals in Gloucestershire who are currently dealing with circumstances that are potentially causing barriers to work and move these people closer towards employment. The GEM Project aims to engage with 1,100 people over the next three years until December 2019. It will reconnect people with their local services and ultimately help them achieve their desired work based outcome through an individual personalised action plan. This programme is a unique partnership of community based organisations, managed by Gloucestershire Gateway Trust on behalf of Gloucestershire County Council.